Dr. Edwards invites Miss Berry to come speak at the Kiwanis Club. 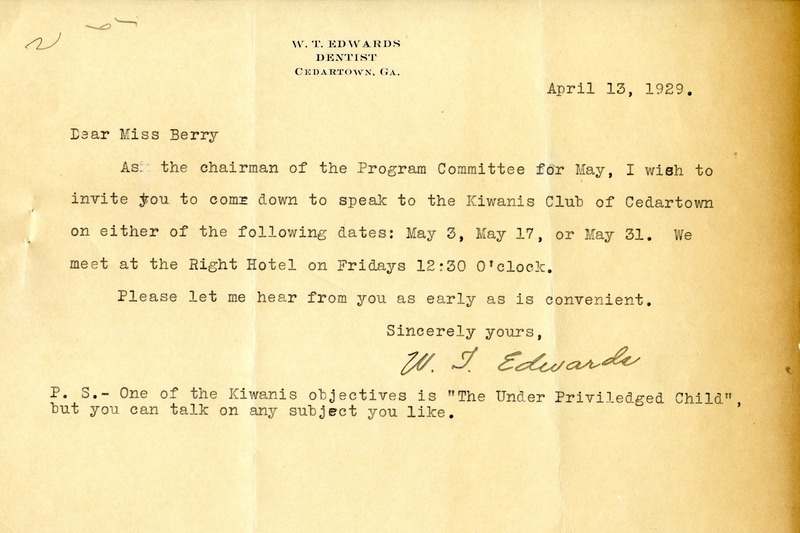 Dr. W. T. Edwards, “Letter to Martha Berry from W.J. Edwards.” Martha Berry Digital Archive. Eds. Schlitz, Stephanie A., Rachel Renaud, et al. Mount Berry: Berry College, 2012. accessed April 21, 2019, https://mbda.berry.edu/items/show/10024.